Product prices and availability are accurate as of 2019-04-20 21:42:56 EDT and are subject to change. Any price and availability information displayed on http://www.amazon.com/ at the time of purchase will apply to the purchase of this product. The C7 version of Pangea Audio's AC-14 power cord will enhance the performance of CD players, DVD players, satellite receivers, cable boxes, and other components with a C7 power connection. 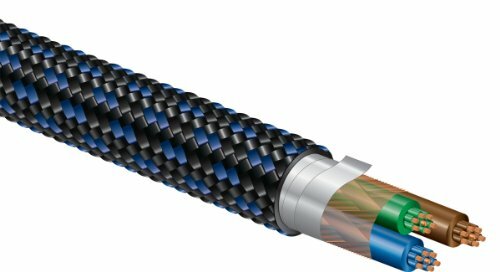 Pangea Audio's AC-14 power cable is specifically designed for source components, which do not require the same large amounts of current as receivers and amps. 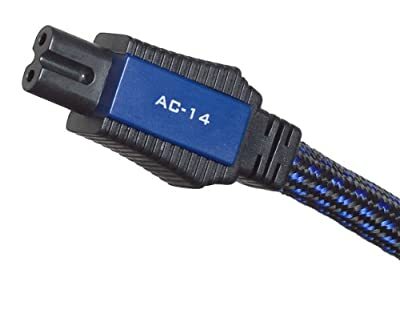 The AC-14 provides more than enough current while offering multiple shielding and other features that facilitate extremely clean and noise-free power. Pangea designed the AC-14 specifically for wide-band delivery of power to line-level AV components. It will enhance the performance of preamps, CD players, DVD players, DACs, and other line-level components. The AC-14's 99.99% purity OFC conductors provide maximum conductivity, while the 14-awg construction is for optimized line-level current delivery. The two-way multi-gauge geometry with isolated bass conductors enhances audio performance. Counter-spiraled conductors offer superior noise rejection, while the triple shielding provides RF- and EM-interference rejection while optimizing the isolation of sensitive source components. Pangea Audio power cables offer the perfect balance of power, shielding, and flexibility for audiophile components. These cables have been designed, not from the AC wall outlet to the component, but the other way around - from the component to the wall outlet. The result is a cable that not only fully satisfies the 'real power requirements' of audiophile components, but which also delivers improved performance for both power and component isolation. Pangea's 'component to the wall outlet' design results in a better cable that's designed just for the component you want to power. The cable gives you precisely what you need - no more and definitely no less.